This recipe is developed by Men's Health and The Rodale Test Kitchen, meaning that it's as nutritious as it is delicious. It skips the kale in favorite of spinach, which is loaded with the good stuff, but more subtle in flavor. Fresh green grapes balance out the bite with natural sweetness. Avocado lends creaminess and the lime will shake your taste buds awake. Plus, it contains a kick of caffeine from the bottled green tea—but not so much that you'll suffer a crash four hours later. 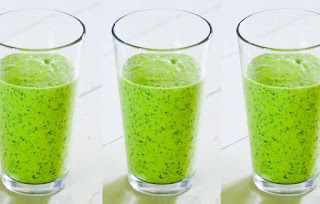 Consider The Green Beast the best shake for men looking to instantly improve their diet and feel better right now. Bonus: You don't even have to chew!